We’ve been getting a lot of inquires about the newest advancements in TV technology and possibly you’ve heard the buzz, so here are some thoughts on the recent development. Ultra HD TVs (Also known as UHD or 4K TVs) deliver picture resolutions four times greater than previous HD TVs (1080p). This provides spectacular image clarity through fine detail and greater texture making image playback and footage the closest it can get to realistic. Sports coverage with 4K technology is better than actually being there, it accentuates the fluidity of motion and incomparable detail, allowing viewers the ability to actually see the emotion on a player’s face. The increased resolution helps aid the viewing of sports games, movies or gaming to a near realistic viewing experience, more detailed than ever before. Currently there are no broadcasts that are delivered in 4K, so we have been skeptical about paying a premium for a feature that cannot be taken advantage of. There has been such a premium on the prices of the 4K TVs that we did not think they were a good value. However, Samsung has recently released a 55” and 65” model of their 4K TVs that sell for about $3,000 and $4,000 respectively. At these prices we think the 4K TVs are the way to go. 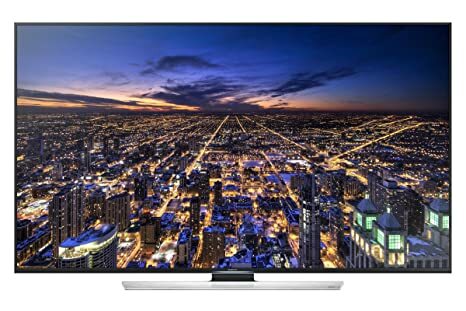 Although there is not any 4K content available, the TV’s processor adapts and upscales the video and graphics while enhancing detail to fit the 4K resolution display. We have both the 1080p HD TV and UHD TVs in our showroom and you can see a demonstrable difference between the two in both clarity and detail that’s worth the comparison. Curious? Come see for yourself! At SoundVision we are constantly on the lookout for new technologies and products. I am continually looking at trade magazines, meeting with manufacturers, and listening to friends and clients to find lifestyle enhancing technology that is truly ready to integrate into the homes of our clients. In order to ensure these new products are ready, we first test everything we sell in our demo room and in employee’s homes. When we first came across the Sonos music system years ago, it wasn’t quite ready. The manufacturer still had some bugs to work out both on the hardware side and the user interface. Of course, Sonos continued to improve their product and now it is one of our most popular offerings. We are still looking at other products in this category, but so far nothing comes close to the reliability, depth of content, and ease of use that Sonos offers. We are currently keeping our eyes on the new ultra-high definition (UHD or 4k resolution) and Organic LED (OLED) display technologies as well as content sharing products such as Google’s Chromecast both of which are currently being heavily marketed. Our current assessment is that these all still need a bit of work before they will meet the high standards of SoundVision clients (I’ll be writing more on these in future posts). What products or technologies have caught your attention this year? A new streaming service, new app, or a new security or access control product? Send us an email, we’d like to know.